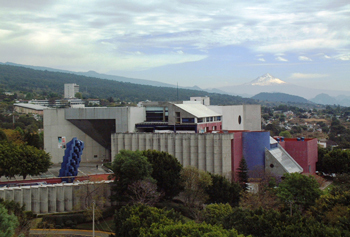 The Instituto Nacional de Salud Pública (INSP) is the oldest public health institution in Latin America and offers 28 graduate degree programs (including Masters of Public Health, Masters of Health Science and doctorate degrees) at its campuses in Cuernavaca (Morelos), Tapachula (Chiapas) and Mexico City. Students are able to take advantage of comprehensive fieldwork opportunities through the INSP's close relationships with communities and health institutions across Mexico. The INSP's research centers offer multiple training and research opportunities in the basic areas of public health as well as infectious disease, maternal health, nutrition and health economics, among others. The INSP is a leader in fostering community participation and translating research for evidence-based decision-making to promote population health at the local, national and regional levels. For example, INSP research has led to changes in national policies regarding tobacco labeling, nutritional requirements for primary school students, and tuberculosis and malaria prevention and control.